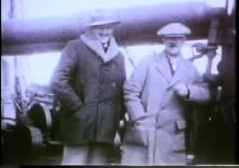 Just as Curtis seemed to be hitting the peak of his success, his own financial and personal difficulties, as well as the national climate at the onset of World War I, made the completion of his project seem almost impossible. In 1916, after completing only eleven of the twenty volumes of The North American Indian, production came to a six-year halt. 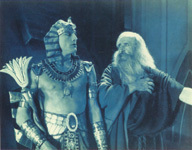 Curtis had financial troubles from the beginning of his work on The North American Indian, but the successive failures of his musicale, story-books, and motion picture, combined with the death of his long-time benefactor J.P. Morgan in 1913, made his financial situation too desperate to continue his field work. Curtis's wife Clara also filed for divorce in October 1916. The divorce was not final until 1919, largely in part to Curtis's unwillingness to travel to Seattle to attend the proceedings. Clara was awarded the Curtis Studio and all of his negatives. Curtis and his daughter Beth opened a new studio in Los Angeles, which was run largely by Beth when Curtis left on his frequent field trips. With the onset of World War I the national climate was also rapidly changing. Curtis already had problems securing subscriptions-and getting subscribers to pay-and the sinking of the Lusitania in 1916 ground subscription sales to a halt. With no new subscriptions coming in, and those who had already subscribed wondering where their additional volumes were during the six-year hiatus in publishing, Curtis's situation was looking desperate. At last publishing resumed in 1922. It is assumed that Morgan's son Jack supplied the printing expenses for this and all subsequent volumes. Curtis continued to work to complete his project, but he never regained the national interest and financial support that he had lost in the years surrounding World War I. 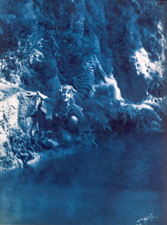 * The above image shows Curtis ceding the copyright for The North American Indian photographs and text to the Morgan Company in 1928. Curtis completed his last volume of The North American Indian, focusing on Alaskan natives, in 1930. His daughter, Beth, accompanied him on his last trip. Click on the image to the right to view footage that Beth took of her father-now older, tired, and physically ill-at work on his last volume. After almost three decades of work, Curtis's last volume was obsolete before it was even published. It entered into a cultural landscape that was quite different than that of Curtis's first trip to Alaska, and the unofficial beginning of his project, in 1898. On the surface, the culture of the 1930s seems like a perfect fit for a project such as The North American Indian. There was an undeniable documentary impulse in America at the time, and documentary photography and film were become increasingly more popular. Ethnography were also shoring up as a discipline, with works such as Lynd's Middletown, and government sponsored life histories. And, there was still an intense national interest in the West, expressed particularly through the genre of Western films. 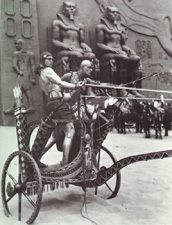 However, Curtis's documentary and ethnographic style, and his depiction of the West, were outmoded by 1930 when he completed a project that was supposed to be finished by 1912. Curtis began working as a still photographer on Hollywood films around 1921, towards the end of the six-year publishing hiatus of The North American Indian. 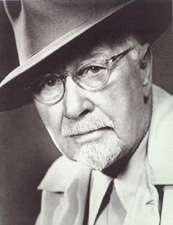 He worked on several films throughout the 1920s and after the last volume of The North American Indian was published in 1930, including Tarzan, The Plainsman, and Cecil B. DeMille's The Ten Commandments, Adam's Rib, and The King of Kings. 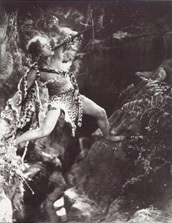 Below are Curtis stills from Tarzan and The Ten Commandments. Click on the thumbnails to view them at a higher resolution. In addition to his Hollywood work, Curtis began mining for gold after the completion of The North American Indian. During this time he conceived of several large projects that he never completed, such as a book on the history of gold entitled The Lure of Gold, and a popular book on the Northwest Coast Indians. In 1935 the remaining materials for The North American Indian were sold by the Morgan estate to the Charles Lauriat company. These materials included nineteen complete sets, thousands of prints, all of the handmade copperplates, as well as unbound paper and glass-plate negatives. 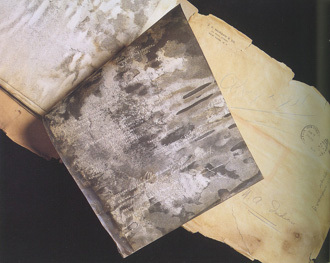 These materials sat in the Lauriat basement in Boston until they were rediscovered in 1972, causing a resurgence of interest in the work of Edward Curtis. However, Curtis had died twenty years prior, in 1952, with only a short obituary in The New York Times.